Come join us for one of America's fastest-growing sports - Pickleball! 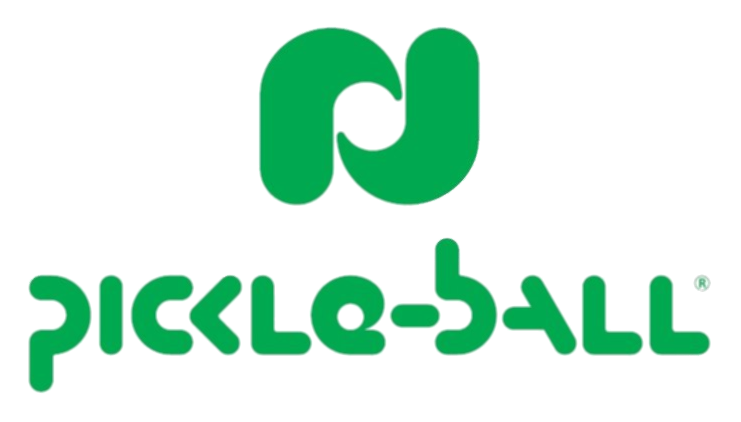 Pickleball uses hard racquets, whiffle balls and the lower mini tennis nets, and is a lot of fun to play for people of all ages. Lessons for beginners are available on Mondays from 9:00 - 10:00am at Jack McLean Park. For more information on Pickleball and how you can be a part of the action, contact Glen Howe, Tennis Superintendent, at 850-891-3920. What perfect weather on Saturday afternoon for about 30 Pickleball players! It was great to have Stephanie Lane, Joe Gilmore, Maggie Corbin, and Ke Kai Ruckstuhl join us from Tennessee plus Renate & Stephen Hess from Houghton/Deaton Creek, GA. After a few hours of round robin, everyone put their costumes on for a few last games of "dinking" competition using paddles with the shapes of pumpkins, ghosts, and black cats. Thanks to the hard work of NINETEEN chili chefs, from around North Georgia and two from Tennessee, the Pickleball players ended the tournament and adjourned to the stable for the chili cook-off. Additional members of the community joined in for the competition - Sharon Thomas from Dahlonega, Weston & Denise Richter from Beverly Hills, CA, Donna & Jim Walters from Marietta, Marnie Tait from Canton, Ray & Louise Irwin from Hickory Flat, plus Water Tank Road Neighbors Marla & Jeffrey Doss, Donna & Greg Goodall, and Dottie & Jim Frassetto. Fabio & Sabine Yeppes/T.C. Country Purina Store in Macedonia not only competed in the chili contest, but supplied the crowd with the delicious Belgian brandy filled chocolates from their store. Marnie Tait won the cook-off prize of $25.00 and a gourmet soup tureen with her "Black Bean, Sweet Potato, and Quinoa Chili with Smoked Chipotle Crème. Weston Richter and Renate Hess were recognized for their 60th birthdays during the past few days. Thanks to all who contributed to make this Halloween event a success. I don't want to leave anyone out, so I will simply say that we couldn't have done it alone! As always, Ke Kai Ruckstuhl came from Loudon, TN with a beautiful Halloween centerpiece along with her chili contribution. Katie Brown helped with not only the set up and tear down, but furnished the bowls, napkins, and spoons. The Vonesh homemade cornbread and Riordon crackers helped cool down our heated throats after the "Not Jo Momma's Chili (Joe Gilmore), Bah Batt Chili (Charles Batt), Veggie Cat Chili (Cat Osterhold), Wendy's Chili (Marilyn Stapleton) Sharon Thomas chili, Bam Bam Blaster Chili (Renate Hess), The Real Thing Chili (Donna Walters), Chadwick Chicken Chow Chili (Lana Chadwick), Chilly Willy Chili (Gary Clark), LA Hothead Chili (Bonnie Clark), Wimpy Chili (Carole Hess), Ghoulish Gourmet Chili (Marni Tait), Ladies Special Chili (Ke Kai Ruckstuhl), Connie's Belly Bomb Chili (Connie/Dan Ross), It'll Getcha Gumbo Chili (Jimmy Williamson), World's End Chili (Sabine Yeppes/TC Country), and Best Ever Vegetarian Chili (Louise Irwin). We were able to wash it all down, thanks to the beer and 40 pounds of ice from Jon Pyle, more beer from Dan Ross and Joe Gilmore, plus water and soda from Ken & Janice Riordon, Judy Vonesh, Terri Weiner, and other club members! See you on the courts at the 10 a.m. Monday/Wednesday/Friday/Saturday new Fall time. With winter temperatures coming soon, we may begin play later if the members desire. 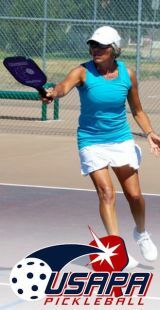 In October of 2012, Mary Crusius started a pickleball session at the Pinehurst Senior Enrichment Center on Thursdays from 2-4 p.m. It has been so successful that even though we have only one indoor court, we get 15-20 players each week. We have introduced new players to the sport and provided an indoor space for players who prefer not to play outdoors. All participants enjoy playing, watching, and socializing, and we are planning to expand to twice weekly to accommodate demand. 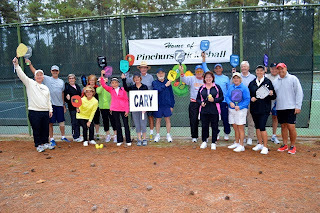 Pinehurst pickleball players welcomed eight players from Cary, the group that introduced Pinehurst Country Club to our newest paddle sport. In an informal tournament on October 22, doubles and mixed doubles teams showed what we've learned in 18 months and picked up new tips from our mentors. We spent a fun morning playing round-robin matches followed by lunch, then an afternoon of open play. We look forward to our next meeting! Sarasota, FL "There is a need for it. 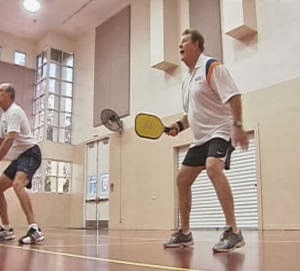 Every facility I have ever worked for has had a pickleball court; nothing down here in south Sarasota, so we wanted to be the facility to open it up to all the players," says Troy Shonk, athletics director at the Evalyn Sadler branch YMCA on Potter Park Road off Central Sarasota Parkway. The branch is having their fall fest Friday night, and they will hold an open house to show off their new pickleball courts and have a demonstration. "It seems pretty great. We have some people coming out to help with the exhibition, players from up north Sarasota are going to come down here and check it out and help the new players get acclimated to the game," says Shonk. 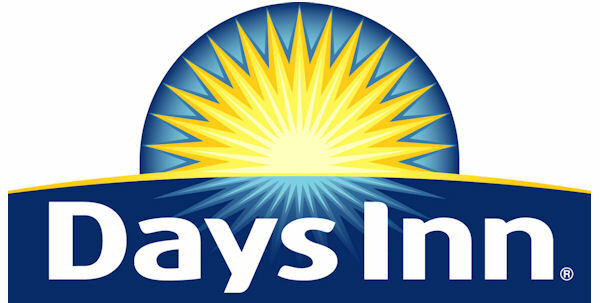 The Myrtle Beach Seaside Classic On-Line Registration is Wednesday, October 23, 2013. Attached is an information flyer regarding the dinner/dance on October 31. If you have already registered for the tournament and did not register for the dinner, it is not too late! You may register on-line until Wednesday for the dinner/dance. The attached flyer gives information regarding the dinner/dance and the fabulous door prizes that will be given away at the dinner. How is your Fall? We haven’t had a hard freeze, so there isn’t a lot of Fall color yet. Our Fall Pickleball hours have changed to 10 a.m. Monday/Wednesday/Friday/Saturday. We might change again as the temperature drops. I’ll keep you posted. We would love to put something in print about our upcoming Halloween Round Robin and Chili Cook-Off on Saturday, October 26th. Costumes not required but requested. Everyone will play in costume for the final set of games with special “Halloween paddles”. People are coming from Beverly Hills, California (Dr. Weston & Denise Richter), Houghton, GA (Steve & Renate Hess), Dahlonega, GA (Sharon Thomas & Leo Anderson) and Franklin, TN (Stephanie Lane & Joe Gilmore). The cook-off begins around 5:30 p.m. with additional Macedonia community and neighborhood friends. Already there are a dozen crock pots of chili entered with a cash prize of $50.00 for the winner selected by popular “secret ballot” votes. As in our tournament, there is only one winner – everyone else is a loser! Join us! Our 7th annual fall tournament will begin at 8:45 a.m. on November 23rd with the National Anthem by the Creekview High School chorus and band. The Teasley Middle School Air Raiders Rifle and Color Guard teams will also be a part of the opening ceremony. In closing on the 24th, the President of the Cherokee County Humane Society will be presented a check for $5,000.00, which will be our private annual donation and the collected fees from the participants both days in the tournament. We also donate lunch both days, prizes, new balls, etc. Floyd Moody is generous with a discount rate from Moody Graphic Designs for the long-sleeved tournament t-shirts. The clever, new tournament design is donated by graphic artist Sarabeth Moody Cash. Club members donate drinks, morning cut fruit/muffins and desserts for both days of meals. We hope to have the “Pickleball Rocks” apparel and paddles for sale and Jamie Caulkin will also have a gallery showing in the stable piano studio. Friends and family are welcome to also purchase a t-shirt and lunch with a $20.00 donation. For more information, phone Ann or Tom Earley 770.401.7355. Kissimmee, FL - October 12, 2013 -- Play was inaugurated today at the four beautiful new, dedicated Pickleball courts now installed at Cypress Cove Nudist Resort and Spa, and more than 20 happy Cove Pickleball players were there for the ribbon-cutting and Fun Tournament to celebrate the completion of the new courts. Cypress Cove ownership has recognized the huge growth of Pickleball at the resort in the five years since the first temporary lines were marked upon a little-used tennis court in 2008. Since then, Cove players have held five annual tournaments, and more than 60 regular players enjoy the game year-round in this beautiful setting. Conversion of tennis court #3 into four dedicated Pickleball courts began on September 17, with work being done by the large sports construction company Nidy from Sanford, FL. The final touches were completed on October 10th, just in time for a planned Fun Tournament on the 12th. Now Cove Pickleball players have four regulation, purpose-built courts they can enjoy, without schedule contention from tennis players, and with regulation nets, boundaries and backstops. Later this winter, a new shade cabana will be constructed for the Pickleball courts, so Pickleball players can relax in style and comfort between games. In all, the new installation makes Cypress Cove the premiere destination in the country for nudist Pickleball players! Early next year, the courts will be the scene for the sixth annual winter tournament at Cypress Cove, which will be re-branded and billed as "The First Annual Cypress Cove National Nudist Pickleball Open." Come out and play for a day onSaturday, March 8, 2014 and enjoy life, naturally! 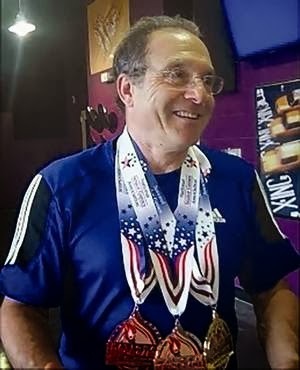 ASHEVILLE — Paul Coletta, 62, of Hendersonville, came away from the National Senior Games in Cleveland, Ohio, this year with gold, silver and bronze medals in different categories, but his chosen sport is one most people may never have heard of: pickleball. Pickleball is played with hard paddles, similar to ping pong paddles, on a court the same dimensions as a doubles badminton court and with a net similar to a tennis net, but 2 inches lower. The ball is a essentially a small wiffle ball. About a dozen players show up three mornings a week to play pickleball at the Stephens-Lee Recreation Center at 30 George Washington Carver Ave. in Asheville, which also recently added a Monday night pickleball time. Other games occur regularly in Hendersonville, Waynesville and Brevard. Learn and play Pickleball, one of the fastest growing sports in America at our free Pickleball clinic. Pickleball is described as a combination of badmitton, tennis and ping pong! The game is perfect for all ages and skill levels. 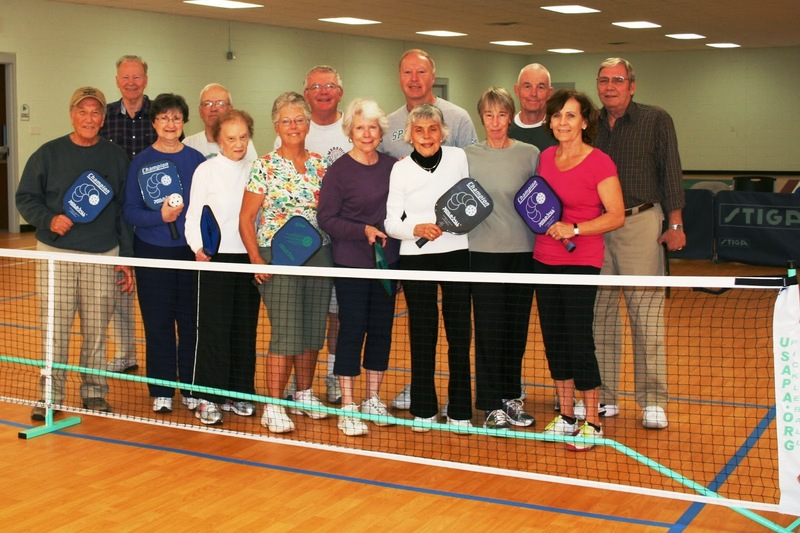 In fact, more than 70% of members of the United States Pickleball Association are over age 60! This free clinic is a great way to learn the game and get a chance to play the sport. The Cary Y is looking to add pickup play times for the sport in November! Welcome home, Judy Vonesh and welcome to our courts, Anne Forte and Charles Bott (from Franklin, TN). Judy and Norm Vonesh have been touring the New England area on their visit to their son in Connecticut. We have missed Judy on the courts - welcome home! 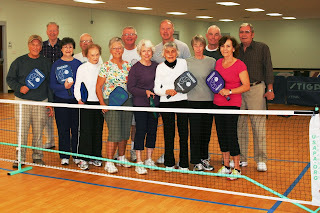 Also today we enjoyed the play with Pickleball Nashville's members Anne Forte and Charles Bott. After 3+ hours on the PB courts, we played another 2 hours of Bocce! Anne and Charles proved formidable in both sports and the weather couldn't have been better! On Saturday, October 26th, at 1 p.m. we will host a Halloween Round Robin followed by a 5:30 p.m. chili cook-off. Popular vote for best chili and cash prize for the winner! Costumes not required, but requested! RSVP, please, and "name" your chili! Fall/Winter times are now Monday/Wednesday/Friday/Saturday at 10 a.m. 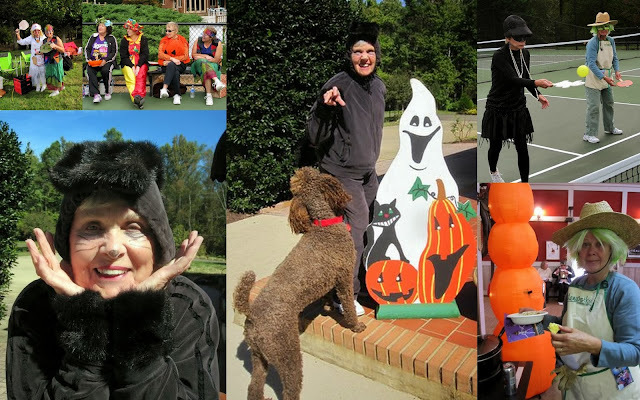 The "Triad's 2nd Annual Pickleball Tournament" held in High Point Oct. 3–5 was well represented by local talent. Nearly 100 players from Pennsylvania to Florida filled the courts. Local participants from the area include Mary Helen Atkins, Phil Giallombardo, Joanne Hessey, Jim Kelley, Jodie Merrill, Charlie Ryan and Bynum Tuttle. The group from The Springs have been playing approximately two years. Mary Helen Atkins and John Bullins (Mocksville) finished first in the 40-59 Mixed Doubles, Joanne Hessey and Phil Giallombardo finished second in the 60-69 Mixed Doubles, Mary Helen Atkins and Jodie Merrill finished second in the 40-50 Women's Doubles, Joanne Hessey and June Boswell (High Point) finished third in the 60-69 Women's Doubles and Phil Giallombardo finished third in the 60-69 Men's Singles. Deadline is this Saturday, October 12! Registration is way ahead of last year's pace so don't delay... secure your spot today! 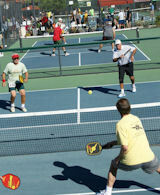 The USAPA Nationals V Tournament (Nov 11-17, 2013) is the pinnacle event for pickleball players and you don't want to miss it! This fifth annual Nationals Tournament will again be at Sun City Festival in the Phoenix area (Buckeye, AZ). This is a sanctioned tournament and open to all ages. Awards are given to the top 3 finishers in each event and there are also CASH PRIZES for open division medal winners! Award winners will also receive Tier 1 tournament points. Participants who are not current USAPA Members or whose memberships will expire prior to or during the tournament, must be members in good standing to participate. 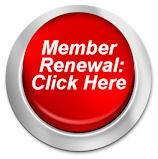 Click the buttons below to renew or to complete your new USAPA membership! 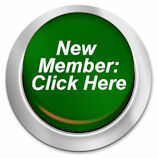 Once your new membership or renewal is paid, your member number will be assigned to you. Saturday, Oct. 12 is also the deadline for all fees to be paid. Anyone who has registered for Nationals but fails to submit final payment by midnight on Oct 12will be dropped from any event not paid for. We recommend all players register online. However, for players who will be mailing their registration and payment, please remember that the envelope MUST be postmarked no later than Saturday, Oct 12: 11:59pm EDT. Any registrations received that are postmarked after this time will not be accepted. If you wait until Oct. 12 to mail your registration, take it to a US Post Office, hand it to a clerk and ask them to postmark it so it readsOct. 12. Simply dropping your registration in the mail onOct. 12 does not guarantee it will be postmarked that day and therefore will not be accepted. Cancellations and requests for refunds must be postmarked or email dated by 11:59pm EDT November 8, 2013. Requests sent after this date will not qualify for a refund. Event fees will be refunded in full. Registration fees will be refunded less a $20 processing fee. Refund checks will be mailed by the end of November. There will be no refunds for events that are cancelled due to inclement weather. Email requests can be sent tonationalsreg@usapa.org. Please review your confirmations to make sure that all events you intended to sign up for are listed. Adding an event or making a partner substitution is only allowed if all requesting players have registered by theOctober 12, 2013 deadline. Substitutions may only be from the registered players who are already registered but still need partners for the event in question. Adding an event will not be allowed after the player lists or the event brackets have been posted online. In addition to a great lineup of table vendors, we have a number of sponsors lined up this year! We Get You to the Senior Games! Registration ends Oct. 12!Don't miss out... register today! For the 1st time, a USAPA National Tournament T-shirt is available! If you order online, you can select men's and women's cut styles and for $6 extra, you can have your name added on the back! Your shirt can be mailed in advance or you can save and pick it up at Nationals. A limited number of unisex t-shirts will also be available for sale at the tournament but why wait... order today! In addition to Nationals T-Shirts, a limited number of embroidered National V hats are also now available. Click below for details and to order! 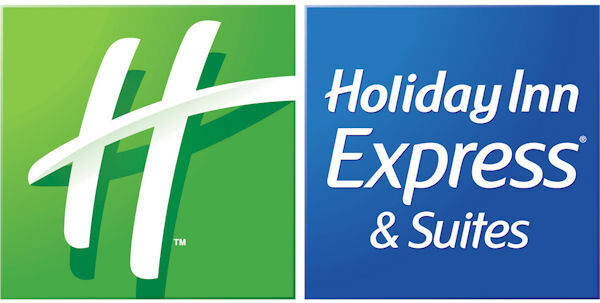 The USAPA has made special arrangements with the following three hotels in Surprise, AZ. 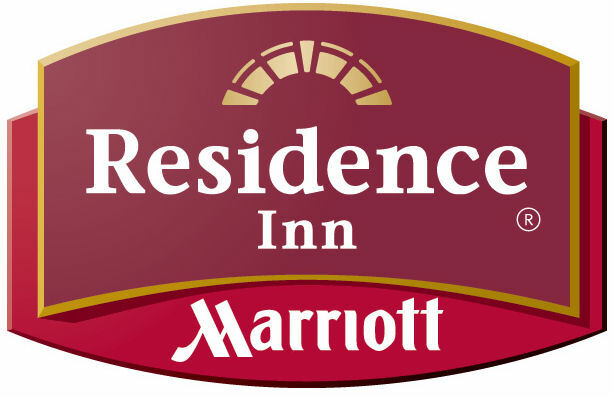 When booking, be sure to mention "USAPA" to receive the tournament rate. 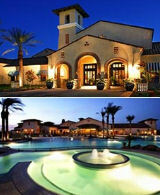 The National Tournament will once again be held at Sun City Festival in beautiful Buckeye, AZ. Festival is a Del Webb community located just 15 minutes west of Surprise, AZ and 50 miles northwest of the Phoenix Sky Harbor Airport. A good selection of food and beverage options will be available plus Festival's Indigo Grille offers great food and atmosphere! Age restrictions apply to Junior Division (age 18 & under), Adult Division (age 19 & older), & Senior Division (age 50 & older). Your eligible age will be the age you will be on December 31, 2013. A player may play in one group of any of the age group events for which he/she is qualified. In addition, any 4.0 or higher rated player may play in Open Division Events. 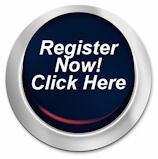 Don't delay... register today and be part of the USAPA's premier tournament! We have an age division for everyone: Junior (18 & under), Adult (19 & older), and Senior (50 & older). Spend time with family and friends and play (or watch) some of the world's top players!